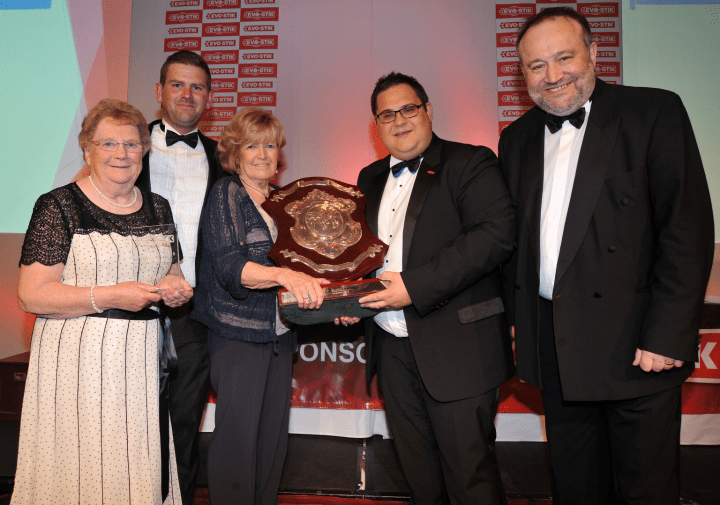 Farsley Celtic: Community club of the year | West Leeds Dispatch | News. Views. Get involved! Farsley Celtic have received the accolade of being chosen as the Evo-Stik Northern Premier League ‘Community Club of the Year’ award, writes Farsley Celtic’s Robert Winterbottom. The honour was announced at the league annual awards dinner in Blackpool. After receiving nominations from many of the league’s 68 clubs, Farsley Celtic’s close links with the local community were highlighted. The club was described as ‘the stand out case’ of all the clubs nominated. The award – the ‘Peter Swales Shield’ – is named after the former Manchester City chairman, who was a founder of the Northern Premier League.